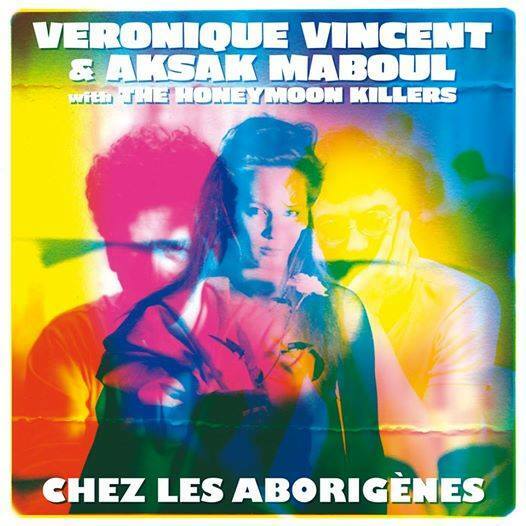 VERONIQUE VINCENT AND AKSAK MABOUL WITH THE HONEYMOON KILLERS-EX-FUTUR ALBUM. “It’s been a long time coming.” So said Sam Cooke. The same is also true of the recently released album from Veronique Vincent and Aksak Maboul with The Honeymoon Killers. Their Ex-Futur Album was released on October 20th 2014 on Crammed Discs. However, originally, the Ex-Future Album was due to be released thirty-one years ago. Back in 1983, Marc Hollander had just founded a new record label, Crammed Discs. It seemed fitting that one of the first releases on Marc’s new label would be a collaboration by a band he founded. This was Aksak Maboul, which had been founded six years earlier. It was back in 1977, that Marc Hollander and Vincent Kenis founded Belgian avant-garde rock band Aksak Maboul. Marc played keyboards, reeds and percussion, while Vincent played guitar, bass guitar and keyboards. Later, keyboardist Marc Moulin joined Aksak Maboul. Later, so did percussionist and keyboardist Chris Joris. This was the lineup that recorded Aksak Maboul’s debut album Onze Danses Pour Combattre la Migraine. Work on Onze Danses Pour Combattre La Migraine began in May 1977. 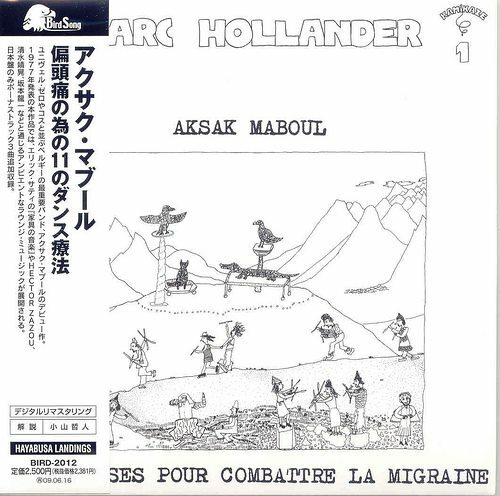 Aksak Maboul worked quickly, and recording of Onze Danses Pour Combattre la Migraine, finished in May 1977. 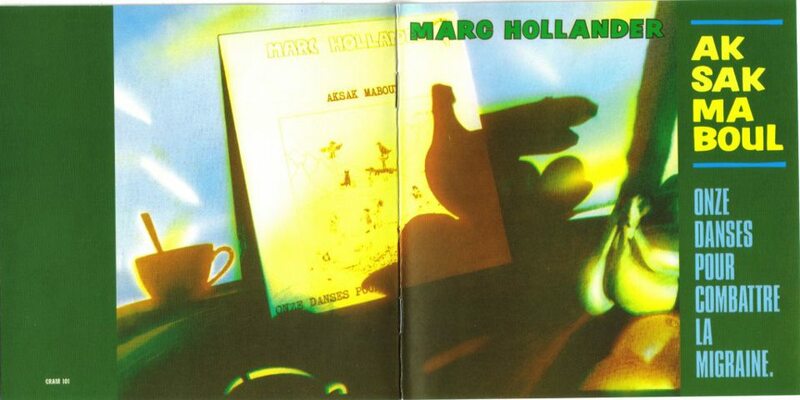 Mostly, this genre-defying album was the work of Marc Hollander. As a result, Onze Danses Pour Combattre La Migraine was credited to Marc Hollander and Aksak Maboul. It was released in 1977, on the Belgian label Kamikaze. Upon its release, Onze Danses Pour Combattre La Migraine was well received by critics. It was a truly adventurous and groundbreaking albums. Genres literally melted into one. This included avant-garde, classical music, electronic free jazz, prog rock, rock and world music. There was more than a nod to Frank Zappa, minimalism and Captain Beefheart, on an album that would eventually, become a cult classic. Since the release of Onze Danses Pour Combattre La Migraine, critics have reappraised the album. Back in 1977, it didn’t find the audience it deserves. In the intervening thirty-seven years, it has. As a result, Onze Danses Pour Combattre la Migraine it’s been hailed a cult classic. Everyone from cultural commentators to prog rock fans have delved deep into Onze Danses Pour Combattre la Migraine, discovering its eclectic delights. Little did Aksak Maboul realise the effect their debut album would eventually have. Back in 1977, all Aksak Maboul were interested in doing was recording their sophomore album, Un Peu de l’Ame des Bandits. Un Peu de l’Ame des Bandits. Towards the end of 1977, Aksak Maboul decided to start playing live. This marked the start of a new chapter in the Aksak Maboul story. Not long after this, the line up changed. Marc Moulin and Chris Joris left Aksak Maboul. Their replacement was percussionist and keyboardist Frank Wuyts. Not long after this, cellist Denis van Hecke joined Aksak Maboul. The next addition was Michel Berckmans, who played oboe and bassoon. He left Belgian progressive band Univers Zéro. This wasn’t the end of the changes in Aksak Maboul’s lineup. At the start of 1979, Henry Cow had just split-up. So Chris Cutler and Fred Frith were asked to join Aksak Maboul. They agreed to do so, and Aksak Maboul started work on their sophomore album, Un Peu de l’Ame des Bandits. This involved a trip to Switzerland. Recording of Un Peu de l’Ame des Bandits took place at Sunrise Studio, Kirchberg, St. Gallen. It was here that Aksak Maboul pushed musical boundaries even further than they had before. The music Un Peu de l’Ame des Bandits took on a new intensity and complexity. It veered towards avant-garde and experimental. Again, musical genres melted into one on Un Peu de l’Ame des Bandits. Everything from ambient and chamber rock to punk, tangos and Turkish music. It was a very different album from Aksak Maboul. That wasn’t the end of the differences. Forever determined to innovate, Aksak Maboul used sampling for the first time on Un Peu de l’Ame des Bandits. However, there was a problem. Samplers were relatively new. They were still prohibitively expensive, and way outside the budget of most groups. That wouldn’t stop Aksak Maboul making use of sampling. Far from it. Instead, Aksak Maboul had to improvise. This was all part of Aksak Maboul’s determination to forge their own way. They wanted to be trailblazers, rather than following in other group’s wakes. That proved to the case on Un Peu de l’Ame des Bandits. When Un Peu de l’Ame des Bandits was released in 1980, it was on a different label, Crammed Discs. It had been founded by Marc Hollander. One of its first releases was Un Peu de l’Ame des Bandits. It was released to favourable reviews. Again, Un Peu de l’Ame des Bandits was an underground album. This meant it didn’t capture the attention of a wider audience until much later. Those who did hear Un Peu de l’Ame des Bandits, marvelled at a complex, compelling, eclectic and innovative genre-melting album. With such a wide variety of musical genres, influences and ideas sitting side-by-side on Un Peu de l’Ame des Bandits, it was an album that could just as easily not have worked. However, it did. With every listen some new subtlety or nuance shawn through. It was a compelling and beguiling album. Critics, cultural commentators and music lovers awaited Aksak Maboul’s next step. They were in for a surprise. The Honeymoon Killers-Les Tueurs De La Lune De Miel. “Nothing lasts forever.”The words of Bryan Ferry proved prophetic. In early 1980, Marc Hollander and Vincent Kenis, the two original members of Aksak Maboul left the band. They decided to join forces with Yvon Vromman, J.F Jones Jacob, and Gérald Fenerberg of Les Tueurs de la Lune de Miel. They called their new band The Honeymoon Killers. The only thing missing was a lead singer. This is where Véronique Vincent came in. She was the final piece in musical jigsaw that was The Honeymoon Killers. They headed out on tour in 1980 and 1981. This was important. With two bands and a vocalist becoming one, they had to hone their sound. 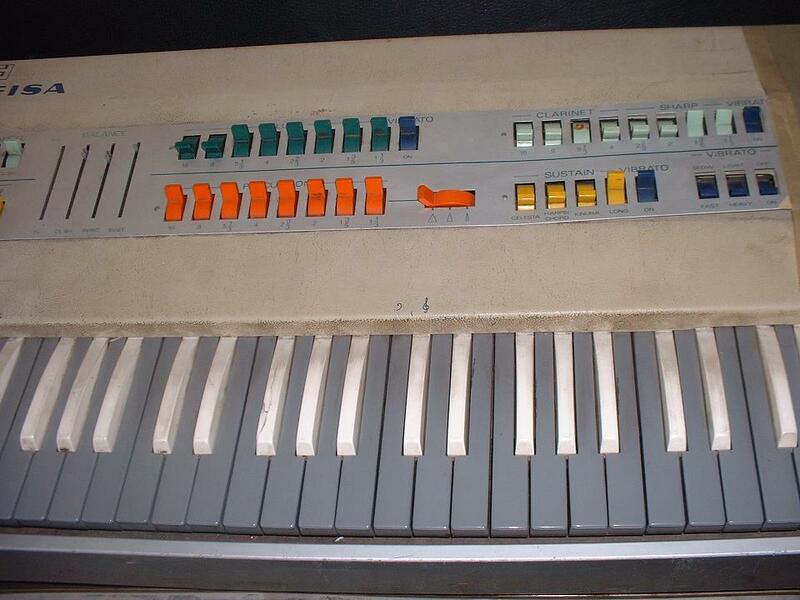 The Honeymoon Killers were one of the pioneers of pre-recorded drum machine loops. They played drum loops on cassette. This was the starting point. Layers of , bass, drums, t guitar, bass, drums, percussion and tinny organ sounds were combined. Atop sat vocals. Given the experimental nature of The Honeymoon Killers, it’s no surprise that some of their songs lasted nearly twenty minutes. They were determined to do things their way. This extended to The Honeymoon Killers’ setlist. 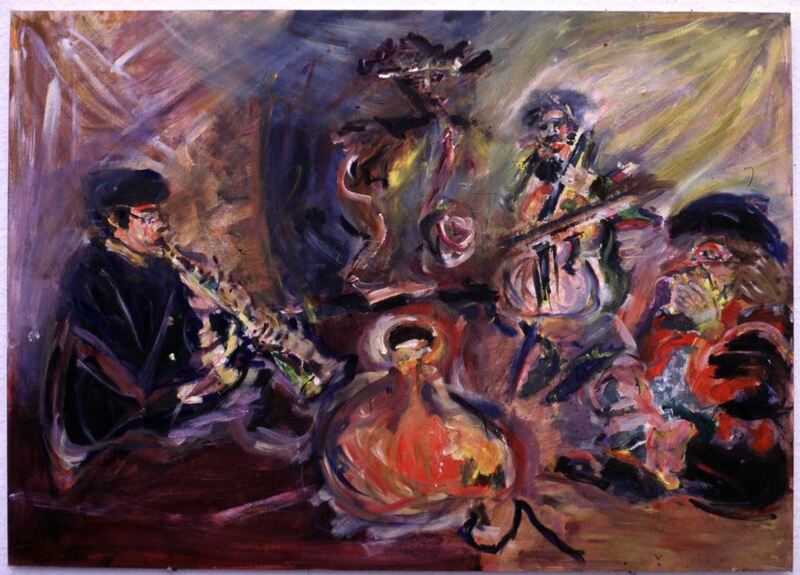 They switched seamlessly between from free jazz and French chanson, to punk and rockabilly. Each musical genre was interpreted by he Honeymoon Killers in their own unique way. During these concerts, The Honeymoon Killers found their sound. Now the new lineup of The Honeymoon Killers were ready to release some new music. Later in 1981, the new lineup of The Honeymoon Killers released cover of Charles Trenet Route Nationale 7 as a single. It was a hit in France and Belgium. So The Honeymoon Killers headed into the studio, to release what was their sophomore album, Les Tueurs de la Lune de Miel. Having recorded Les Tueurs de la Lune de Miel at various studios across Europe, the album was released on Crammed Records in 1982. Reviews ranged from positive to glowing and critically acclaimed. The Honeymoon Killers’ unique and quirky brand of genre hopping music, was winning friends and influencing people. This proved to be the case. In Belgium, France, Germany and Britain, Les Tueurs de la Lune de Miel sold relatively well. It became something of a cult album. Considering this was the first album by the new lineup of The Honeymoon Killers, it looked like they were going places. Sadly, that wasn’t to be. Never again, would The Honeymoon Killers release another album. Their only singles was 1982s Décollage. Three years later, The Honeymoon Killers. Their legacy was Les Tueurs de la Lune de Miel, which is hailed as the best Belgian rock album ever. However, thirty-two years later, The Honeymoon Killers are back. Although Marc Hollander and Vincent Kenis, the two original members of Aksak Maboul left the band, the Aksak Maboul story wasn’t over. No. Aksak Maboul had began working on their their third album in 1980. For the next three, years Aksak Mobil recorded ten tracks. This wasn’t just an Aksak Maboul album. No. It was a collaboration between the great and good of Belgian progressive music. Vocalist Veronique Vincent and The Honeymoon Killers joined Aksak Maboul. Right up until 1983, this all-star cast of Belgian musicians worked on what would eventually become the Ex-Future Album. Sadly, it was never completed, and in 1983, the project ground to a halt. Since then, Ex-Futur Album has lain in the Crammed Discs vaults. That’s where it was recently discovered. Ex-Futur Album features ten tracks. Nine of them were penned by Marc Hollander and Veronique Vincent. The exception is a cover My Kind Of Doll. It’s one of ten tracks on the long lost Ex-Futur Album. The Ex-Futur Album features Veronique Vincent’s vocal. She’s joined by Marc Hollander on keyboards, woodwinds, percussion and programming. Marc arranges and co-produces the album with Vincent Kenis. He plays bass, guitar and takes charge of engineering. Aksak Maboul are also joined by the rest of The Honeymoon Killers on the recently released Ex-Futur Album, which I’ll tell you about. Chez Les Aborigines opens Ex-Futur Album. A myriad of synths, drum machines and percussive delights provide the backdrop to Veronique Vincent’s heartfelt vocal. The arrangement envelops Veronique’s vocal. Stabs of synths, urgent percussion and plodding drums combine, as Veronique’s vocal becomes breathy and tender. Meanwhile, elements of chanson, electro, synth pop and perfect pop combine with futuristic, sci-fi sounds. There’s even an avant-garde sound, as Aksak Maboul continue to innovate and combine musical genres. Joyously, Afflux De Luxe bursts into life. Bold, dramatic stabs of keyboards joint drums that skip across the arrangement. The result is melodic and compelling. It’s also perfect for Veronique’s vocal. Dramatic and earnest, she powerfully delivers a compelling vocal. Behind her, bells chime. adding to the joyous sound. There’s then a dramatic surge. Synths, keyboards and drums become one. Along with Veronique, they play their part in what looks like being a dreamy pop song. Then things change. Drama and darkness combine. The music becomes gothic, progressive and rocky, while the vocal becomes a futuristic broody Gregorian chant. There’s snatches of what’s gone before, before the track heads in the direction of avant-garde. Always, though, Afflux De Luxe is compelling and melodic. From the get-go, Je Pleure Tout Le Temps has you hooked. Synths, keyboards and drum machines create the backdrop for Veronique. She dawns the role of chanteuse. Her sultry, seductive vocal is the perfect foil for the electronic backdrop. It meanders along, while Veronique’s whispery vocal is the centre of your attention. Its ethereal beauty is at the heart of this song’s success. Veronika Winken allows to show different side of their music. A strummed guitar joins with synths and drum machines. The guitar brings to mind Mediterranean beaches and long hot summers. The drum machines and synths add a moderne sound. This is the backdrop for Veronique’s vocal. It veers between tender and melancholy to tough and feisty. Bursts of a male vocal add to the edgy arrangement. It’s an amalgam of elements of classical, electronica, post punk and rock. They melt into one as Aksak Maboul showcase their versatility, during this long lost album. Aksak Maboul and friends raise the stakes on I’m Always Crying. Veronique dawns the role of tortured chanteuse. Her vocal is a cathartic outpouring of hurt and heartbreak. The arrangement is big, bold and dramatic. It’s essentially a mixture of electronica and mystery. There’s even a cinematic sound, courtesy of the synths, keyboards and rhythm section. However, Aksak Maboul’s secret weapon is Veronique, who lays bare her soul for all to see. My Kind Of Doll is the only cover version on Ex-Futur Album. It’s an uptempo, anthemic track. Veronique’s vocal is edgy and sassy, veering in the directing of post punk. So do the rest of Aksak Maboul. They combine elements of electronica, post punk and synth pop with some glorious rocky riffs. Machine gun guitar riffs go toe-to-toe with synths. Both vie for your attention. However, it’s the guitar that wins out, during this uptempo, fist pumping, eighties anthem. Chiming, driving guitars, reminiscent of U2 and crisp galloping drums get Luxurious Dub underway. Washes of dark, gothic synths sweep back and worth. Gradually, Luxurious Dub reveals is secrets and delights. One of the delights is Veronique’s vocal. It’s akin to a homage to Liz Fraser, formerly of the Cocteau Twins. Sadly, it just plays a walk on role. So does the slap bass. That’s when things get a little funky. Joining in the fun are crystalline guitars. Then the arrangement takes on a sense of urgency, as the rhythm section and guitars cut loose. Funk, free jazz, electronica and indie rock come together during this Luxurious Dub. Le Troisième Personnage picks up where Luxurious Dub left off. Thunderous drums, cartoon synths and Veronique’s vocal vie for your attention. So does the bass. It packs a punch. Before long, the track becomes urgent, melodic and hypnotic. It’s also irresistibly catchy. The hooks haven’t been rationed by Aksak Maboul, during a track whose musical D.N.A. reads early eighties. The Aboriginal Variations closes Ex-Futur Album. Straight away, its melancholy sound has you hooked. Your assailed by a myriad of synths, crispy drums and woodwind. They envelop Veronique’s vocal. It’s slow and sultry. Later, the track grows wings. It heads in unexpected directions. Avant-garde, electronica, experimental, free jazz and synth pop. It’s all here. Futuristic, sci-fi sounds emerge. Other times, the music is haunting and dramatic. Cartoon synths bubble and squeak. There’s also a Gallic sound, during this six minute musical tapestry, where Aksak Maboul showcase that they’re an ambitious and innovative group capable of producing eclectic music. That’s not the end of the Ex-Futur Album. No there’s three live tracks still to come. This includes versions of Reveillons-Nous, I’m Always Remixing and Mit Den Eingeborenen. They’re a reminder of just how good a live band Aksak Maboul. Suddenly, it’s 1977 all over again. The years role away. No longer are you middle aged. Instead, you’re trying to recapture your youth with the raw power that are Aksak Maboul. Then as the closing notes of Mit Den Eingeborenen play, it’s 2014 again. However, it’s not so bad. ksak Maboul have belatedly released their long forgotten third album. Thirty-one years after Aksak Maboul pulled the plug on the Ex-Futur Album, it makes its belated debut on Crammed Discs. 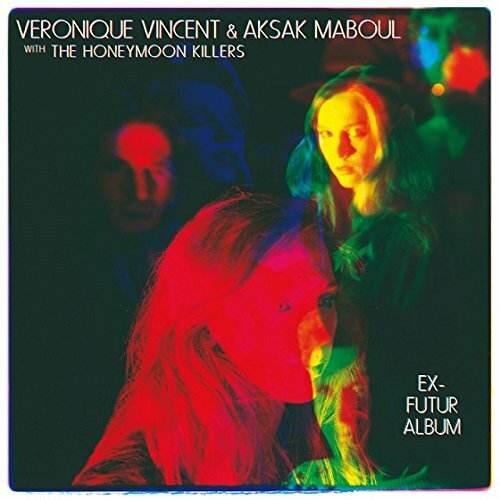 Billed as Veronique Vincent and Aksak Maboul with The Honeymoon Killers, their Ex-Futur Album is a reminder of what this group of innovative musicians and vocalists were capable of. They were capable of creating ambitious, adventurous and innovative music. This is no ordinary music. Instead, it’s genre-melting music. Musical genres and influences melt into one. Everything from avant-garde, classical, chanson, dream pop, electro, electronica, experimental, free jazz, indie, post punk, prog rock and rock. Dig deeper, and other influences shine through, including synth pop and proto house. It’s as if Veronique Vincent, Aksak Maboul and The Honeymoon Killers’ musical pasts have influenced Ex-Futur Album. So it seems, has their respective record collections. Sadly, this ambitious and innovative album was neither finished nor released in 1983. It was only on 20th October 2010, that the Ex-Futur Album was released by Crammed Discs. Somewhat belatedly, Ex-Futur Album, a truly ambitious and innovative album will find the audience it so richly deserves. Even today, it’s obvious that if the Ex-Futur Album had been released in 1983, it would’ve been an album that was way ahead of its time. That’s no surprise. Aksak Maboul were innovators, who pushed musical boundaries to their limits. With Veronique Vincent and The Honeymoon Killers collaborating with Aksak Maboul, this was a Belgian musical dream team. Here was a collaboration between the great and good of eighties Belgian progressive music. A group of some of the most ambitious and pioneering musicians, were pushing musical boundaries to their limits, and sometimes, way beyond. Then for whatever reason, the Ex-Futur Album was shelved. This groundbreaking project was lost to the world for thirty-three years. Now that the Ex-Futur Album has been released, even in its unfinished form, it’s a reminder of what Veronique Vincent and Aksak Maboul with The Honeymoon Killers are capable of, back in their glory days. ← JERRY LEE LEWIS-THE KNOX LEWIS SESSIONS-THE UNRELEASED RECORDINGS.